Most of us are busy with home life, work life, and family life. Sometimes the last thing on our mind is taking the time out to take care of our hair. Our hair care routine can be out of wack when we have a million other things on our plate. I am going to share a quick hair care tip and a quick DIY that you can make from scratch - Bonus, it works amazingly for dry hair and itchy scalp. If your scalp is itchy and dry or you notice dry white flakes falling on your clothes when you scratch your hair, your hair needs moisture. This quick DIY scalp moisturizer is all you need to put some moisture back into your hair. 1. Mix all oils and essential oils in a small bowl. 3. Section your hair into four parts and massage combination of oils into your scalp. 4. Cover your hair with a plastic shower cap and let the oil work its magic on your scalp for 2-3 minutes. 5. After 3 minutes, wash your hair and style as usual. **Note - Do this once a week. Olive Oil brings back moisture to the hair. Olive oil is rich in Vitamins A, E, and Antioxidants. Olive oil helps protect the Keratin in hair and seals in moisture. Avocado Oil is excellent for moisturizing dry, brittle hair. It is light weight oil, and it is quickly absorbed into the hair follicle and scalp. Avocado oil contains Vitamin A, B, D, E Amino acid, protein, folic acid. Benefits of Avocado oil for hair include hair growth, growing the edges of the hair, moisturizing and preventing hair breakage. It is one of the oils that help hair growth. Castor Oil is extracted from the Castor seed. Castor oil contains fatty acids such as Ricinoleic acid, Linoleic acid, Oleic acid. You can massage a small amount of Castor oil into hair and scalp to stimulate hair growth. Castor oil is fantastic in treating thinning hair, dandruff, split ends, serves as a moisturizer and hair conditioner. It is one of the best essential oil for hair regrowth. Lavender Oil Lavender Oil is a natural antiseptic. It is suggested as an effective treatment for itchy scalp and dandruff. It helps to promote hair growth. Tea Tree Oil Tea Tree Oil helps to unclog hair follicles and nourish your hair roots. 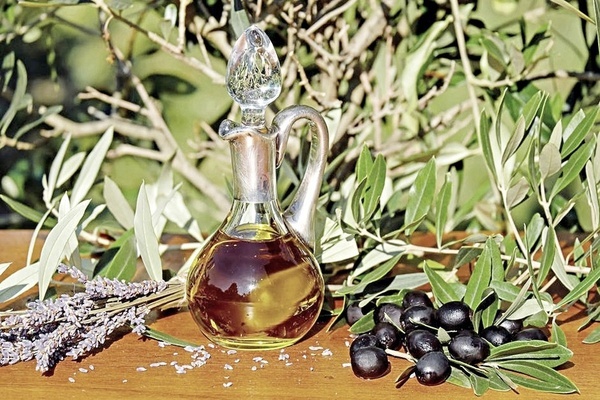 Rosemary Oil Rosemary Oil when applied to the scalp, helps to stimulate hair growth. It is also used to treat dandruff and dry scalp. This is a good natural hair care product you can make at home and use without the concerns of toxic ingredients. Share and subscribe to the blog for more beauty posts.